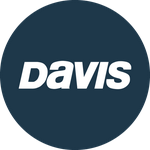 Davis Instruments Support, FAQs and Troubleshooting - How many devices can I register under one account on WeatherLink.com 2.0? All Categories ​>​ FAQ ​>​ WeatherLink.com ​>​ How many devices can I register under one account on WeatherLink.com 2.0? As many as you want. You can register unlimited amount of devices and have access to their current conditions (Bulletin). With the Pro Tier plan, you are able to access and use advanced features for 3 of your devices. Note: Vantage Connect and EnviroMonitor owners are automatically on Pro Tier plan.